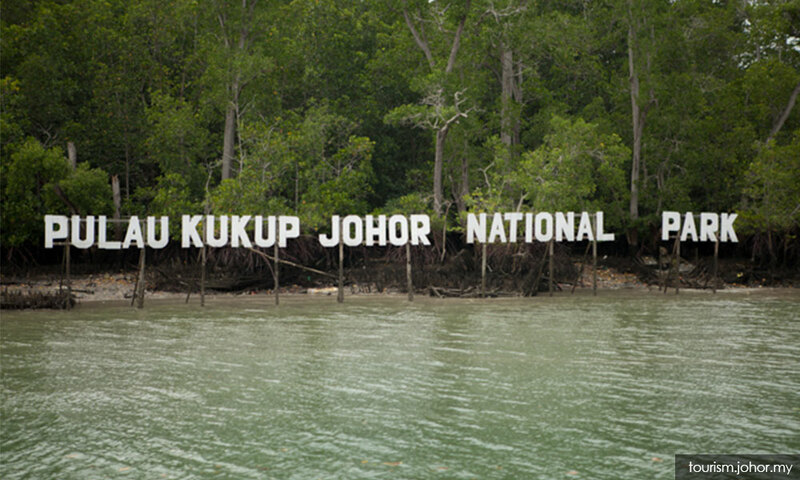 The de-gazetting of Pulau Kukup’s national park status was decided in a Johor state executive council assembly meeting on March 7, 2018, when BN was still the state government. This, according to a document from a state government source, cited by Malaysiakini. “The land, which is mainly a mangrove forest, maintained by the Johor National Parks Corporation, encompasses a landing jetty, a visitor’s station, an observation tower, pedestrian’s walkway, as well as an administration building. “The Johor state executive council assembly, in its meeting on March 7, 2018, have decided to award the land to Sultan Ibrahim Sultan Iskandar, and to cancel a government gazette dated March 27, 1997, which gazetted the area as the Pulau Kukup national park,” read the document. The cancellation of the national park gazettement status is to facilitate the land to be registered under the name of Sultan Ibrahim, added the circular. “Following the decision, news about the cancellation of the gazette was published by the state government in a publication dated Oct 25, 2018, and the registration under the name of Sultan Ibrahim was done on Oct 29, 2018. “A notification about the decision has also been extended to the director of the Johor National Parks Corporation, in a letter dated Aug 5, 2018,” read the document, adding that relevant laws regarding the matter have also been handled by the state legal adviser on Aug 6, 2018. Earlier today, Johor exco member Aminolhuda Hassan, was quoted saying by The Malay Mail that the de-gazetting of Pulau Kukup's national park status was made by the previous BN state government. Meanwhile, in a statement tonight, Johor PKR chief Hassan Abdul Karim urged the state government to cancel the de-gazetting of Pulau Kukup. "The Pulau Kukup National Park must continue to be protected under Subsection 3(3) of the National Park Environment Enactment (Johor) 1989. "The Pulau Kukup National Park must remain the asset of all Malaysians of the current generation, and generations to come. "The Johor state government must preserve the status of all national parks in the state, as it has been entrusted to do so," said Hassan, who is also Pasir Gudang MP. Hassan said the state government must not keep mum on the issue and continue to blame the previous administration over the matter. "Without rectifying the status of Pulau Kukup as a national park, the whole state executive council had committed omission for having failed to save the area as a Ramsar site in Malaysia." A Ramsar site is a wetland site designated to be of international importance under the Ramsar Convention. The convention on wetlands, known as the Ramsar Convention, is an intergovernmental environmental treaty established in 1971 by Unesco which came into force in 1975. Yesterday, Malaysiakini reported that the Johor government has de-gazetted Pulau Kukup as a fully protected national park which it has been since 1997. While the future of Pulau Kukup remains unknown, there have been mounting calls to save the island following news of the de-gazettement. The Tunku Mahkota Johor, Tunku Ismail Sultan Ibrahim had earlier today clarified that Pulau Kukup was de-gazetted as a national park because it was to be reclassified as sultanate land. In a series of tweets today, the prince also gave his assurance that Pulau Kukup, internationally recognised wetlands of importance, would continue to function as a national park. Pulau Kukup is mostly uninhabited and is renowned for its mangrove forests. It is one of the few remaining pristine wetlands in South-East Asia and is one of five Ramsar sites in Malaysia.